Do brain interventions to treat disease change the essence of who we are? These days, most of us accept that minds are dependent on brain function and wouldn’t object to the claim that “You are your brain.” After all, we’ve known for a long time that brains control how we behave, what we remember, even what we desire. But what does that mean? And is it really true? Despite giving lip service to the importance of brains, in our practical life this knowledge has done little to affect how we view our world. In part, that’s probably because we’ve been largely powerless to affect the way that brains work, at least in a systematic way. That’s all changing. Neuroscience has been advancing rapidly, and has begun to elucidate the circuits for control of behavior, representation of mental content and so on. More dramatically, neuroscientists have now started to develop novel methods of intervening in brain function. As treatments advance, interventions into brain function will dramatically illustrate the dependence of who we are on our brains – and they may put pressure on some basic beliefs and concepts that have been fundamental to how we view the world. Medicine has long intervened in the human body. We are comfortable and familiar with the reality of implants that keep the heart going at a steady and even pace. We don’t think pacemakers threaten who we are, nor that they raise deep and puzzling ethical questions about whether such interventions should be permissible. The brain, like the heart, is a bodily organ, but because of its unique function, its manipulation carries with it a host of ethical and metaphysical conundrums that challenge our intuitive and largely settled views about who and what we are. 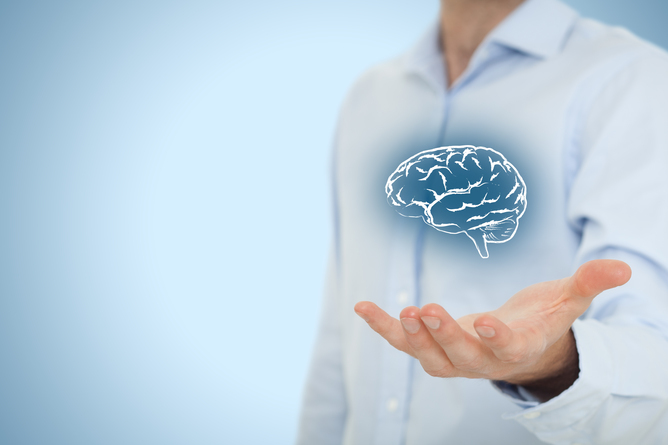 The last few decades have seen a variety of novel brain interventions. Perhaps the most familiar is the systemic alteration of brain chemistry (and thus function) by a growing array of psychopharmaceuticals. However, more targeted methods of intervening exist, including direct or transcranial electrical stimulation of cortex, magnetic induction of electrical activity, and focal stimulation of deep brain structures. Still on the horizon are even more powerful techniques not yet adapted or approved for use in humans. Transgenic manipulations that make neural tissue sensitive to light will enable the precise control of individual neurons. Powerful gene editing techniques may enable us to correct some neurodevelopmental problems in utero. And although many of these methods seem futuristic, hundreds of thousands of cases of the future are already here: over 100,000 cyborgs are already walking among us, in some sense powered by or controlled by the steady zapping of their brain circuits with electrical pulses. Surgically inserting electrodes into a patient’s brain. This is no dystopian nightmare, nor the idea for a new zombie show. Deep brain stimulation (or DBS) has been a life-restoring therapeutic technique for thousands of patients with Parkinson’s disease with severely impaired motor and cognitive function, and it promises to dramatically improve the lives of people suffering from some other psychological and neurological disorders, including obsessive compulsive disorder, treatment-resistant depression, and Tourette’s syndrome. 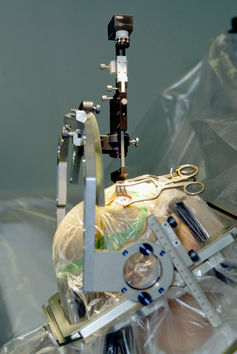 DBS involves the placement of electrodes into deep brain structures. Current is administered through these electrodes by an implanted power pack, which can be remotely controlled by the subject and adjusted by physicians. In essence, DBS is like a pacemaker for the brain. Watch a Parkinson’s patient who has a DBS implant. Remarkably, we don’t quite know how it works, but when effective, DBS can in seconds restore normal function to a person virtually paralyzed by a dopamine deficiency, contorted by uncontrollable tremor and muscular contraction. The transformation is nothing short of miraculous. In addition to its obvious clinical benefits, DBS poses some interesting problems. For one thing, DBS does not always only address the troubling symptoms of the disease it aims to treat. Sometimes, stimulation results in unanticipated side-effects, altering mood, preferences, desires, emotion or cognition. In one reported case, the identifiable side effect of stimulation was a sudden and unprecedented obsession with Johnny Cash’s music. While it may be fairly easy to write off improvements in motor control as some kind of mechanical restoration of a broken output circuit (which would be a misunderstanding of the actual function of DBS in Parkinson’s), messing with our preferences and passions seems to hit much closer to home. It calls attention to something hard to fathom and often overlooked: what we like, what we are like, who we are, in some very real sense, are dependent on the motion of matter and ebb and flow of electrical signals in our brains, just like any other physical devices. How much of what makes you you comes down to your physical brain? This reminder points to something we may often pay lip service to, without really coming face to face with its implications. However, the increasing availability of neurotechnologies may push us to deeper philosophical exploration of the truth about our brains and our selves. After all, if we are merely material beings whose personality can be altered and even controlled by fairly simple technologies, is there really a there there? Is there some immutable kernel of a person that is the self, or an essence that resists change? Can brain interventions can change who we are – make us into a different person or alter personal identity? If someone insults you (or commits a crime) while under stimulation by DBS, should he be held responsible for what he does? Under what conditions (if any) does it make sense to say that “it wasn’t really him”? Does the answer give us insight into what matters about brain function? And if we think that brain interventions should excuse people, when and why is that so? Does that reasoning also imply that we ought to excuse all behavior due to brains, which are, after all, just physical systems operating according to natural laws? That is, does it threaten to undermine the notion of responsibility more generally? These are hard questions that philosophers have been grappling with for a long time. For the most part they were relegated to the academy and the realm of thought experiments, and were largely ignored by the rest of the world. But we live today in a world of thought experiment made real, and these questions are now being raised in practical circumstances in medicine and in law. Although there is no consensus (and I do not mean to endorse what might seem to be the obvious answers to the above questions), what have previously seemed like the abstract puzzles of philosophers may soon be seen to hit closer to home.